It's a big year for North Dakota RAM truck drivers as the new 2019 model is completely redesigned both inside and out. 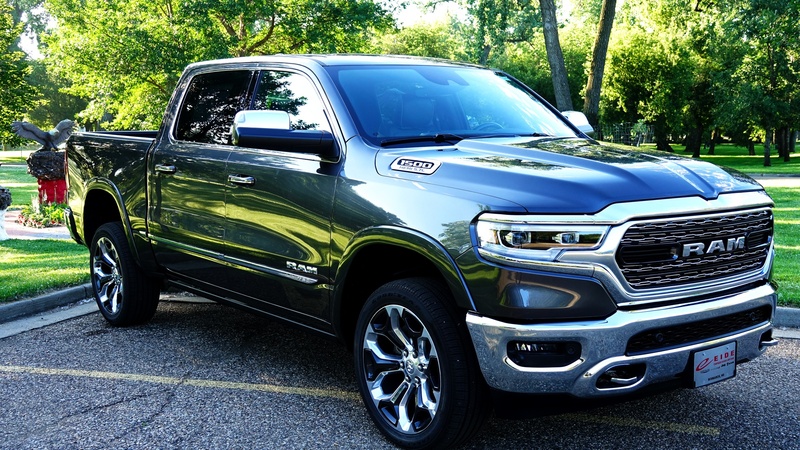 Our last post introduced you to the new design and styling of the 2019 RAM 1500. This week, we're taking a look at the 2019 RAM 1500's updated comfort and convenience features. 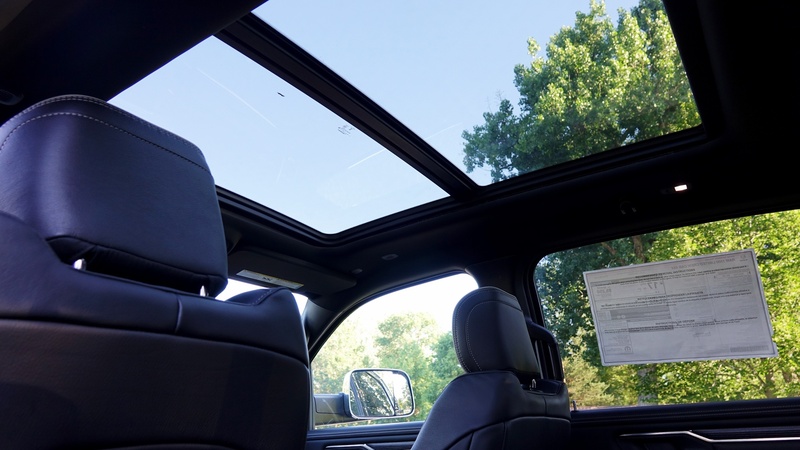 This year's model takes comfort and convenience to the next level with added storage, best-in-class tech features, and even an optional 10 square foot sunroof. 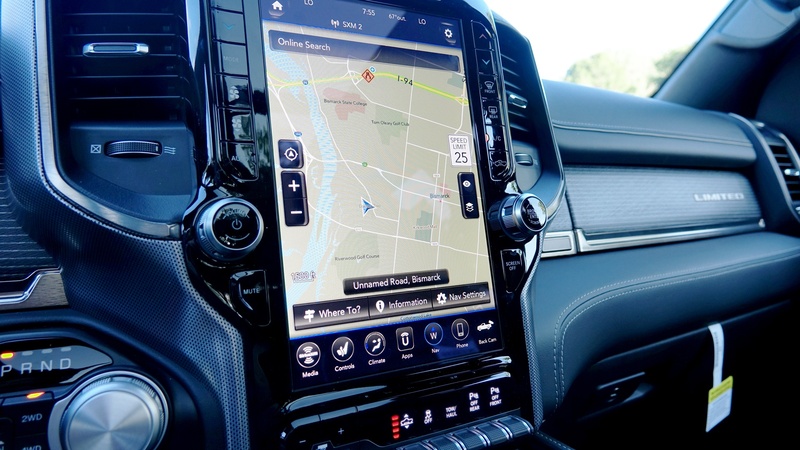 Every inch of the 2019 RAM 1500 interior is built to make your driving experience even better for you and the riding experience more enjoyable for your passengers. This year's model is built with a longer and wider interior, making it the most spacious 1500 yet. Your passengers will smile too, thanks to available reclining seats and rear seat ventilation. Pair that with a fold-down center console and 45.1 inches of legroom and you may not be surprised if your passengers stop calling "shotgun" and head for the back instead. Whether you're having a great conversation or enjoying the silence, you can enjoy a quieter cabin because of the 1500's frame. It's built to work in tandem with the RAM's available interior active noise cancellation system. It tackles real-world conditions like a pro, reducing potential internal noise from 57.6 decibels to only 12! Getting the job done the right way requires the right tools. 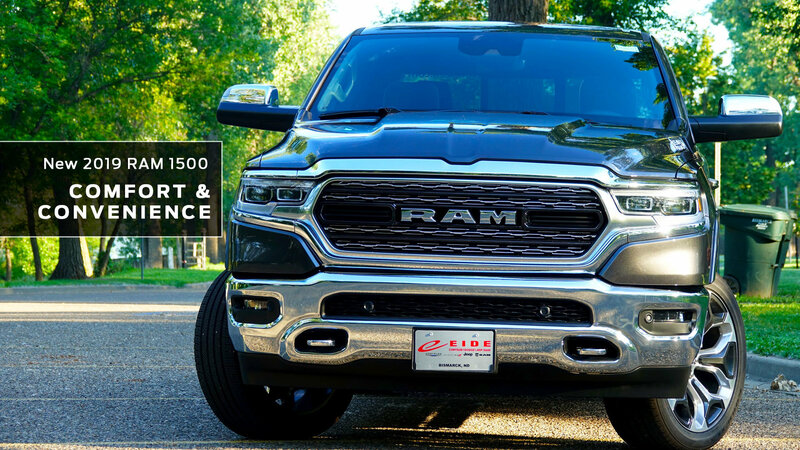 And that's what you've got when you're driving the 2019 RAM 1500. When it comes to connectivity, this 1500 is best in class. A 12-inch touchscreen sits right on the dash and keeps you up to speed. The RAM 1500's internal media center also comes standard with ultra-fast USB charging ports and auxiliary ports too so you can stay on top of your game even when you're out in the field. Under-seat storage helps you haul even more with up to 40 liters of additional storage thanks to the fold-out feature. A flat-load floor and available RAM bins add even more storage and easy loading. Cars.com said that this year, "RAM made a great truck even better." We couldn't agree more. It's bigger, smarter, and stronger than its predecessors. And with 6 trim options, your toughest decision might be whether you want to opt for the Laramie or the all-new Rogue, which is specially built for off-roading. Come in for a test drive and see for yourself why this year's 1500 is a powerful choice.